From creating your favorite meme to making boomerangs, GIF’s are all the rage of the modern world today. The Graphics Interchange Format covers a wide range of themes from Love GIF’S, Reaction GIF’S and so much more. The options are limitless because as long as you can imagine it, there is a GIF for it. And as these GIF’s have been compressed to reduce their transfer time, you don’t have to worry about them being too bulky. It only takes a second to share a GIF from one person to another which makes the format so much easier to send. The question now is how to record a GIF and make it available for sharing on the internet. 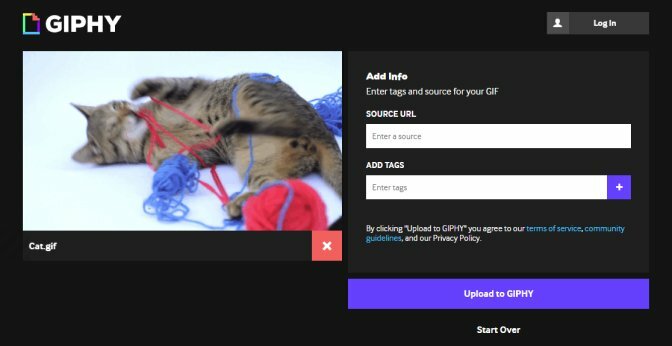 Well, you don’t have to worry about that in this article, we have made a list of sites and apps you can use for your GIF recorder with many GIF tool and options for GIF capture. Movavi Screen Recorder is a program that acts as a GIF recorder and is one of the best ways to make GIF's so that you can later share with others or even keep for personal use. 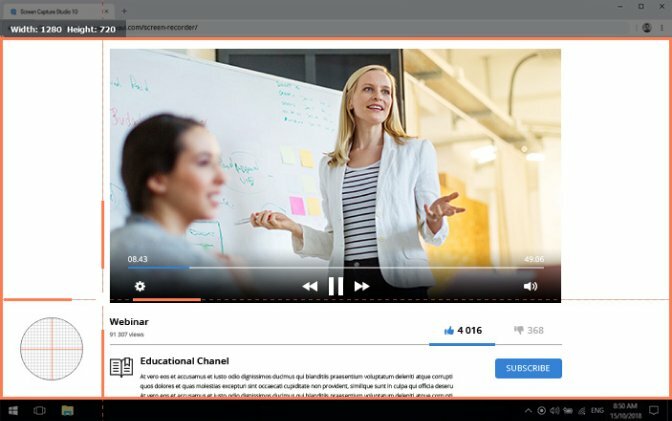 With this software, you can easily capture videos and create GIF's from webinars, live-streamed videos, and even movies. It is user-friendly as the screen recording process is straightforward and easy: you turn on the start button to begin recording your video and then convert the recorded video clips to GIF from the screen and finally save it as quickly as possible in the SuperSpeed mode. If you’re looking for a way to make GIF screen capture, then look no further because CloudApp is the easiest way to make GIFs. Compatible with both Mac and Windows, CloudApp offers many GIF tools so that you can easily capture videos and save them to the cloud and there they will stay until you are ready to share them. As it is an available free version, downloading the program is very easy and can be done in record time. To use the GIF capture software, all you need do is select the GIF icon, note the area you want to record, and you can even choose to record with or without sound. After recording, click on finish and then you can begin sharing your GIF to the public. This whole method can be done in very little time and is a conducive way to create your videos from your desktop or PC. This software helps you to record videos from your screen to GIFs on Mac. It is an application with a very small size (just 670kb) and allows you to screencast and capture hat is on your screen without the interruption of ads. With a built-in editor, you can easily edit all your captured videos with the many GIF tools it offers. It has a clear and concise interface and is available in over 18 different languages. This is one of the best GIF recorders. Using the app is simple and it gives you your recorded video in no time after which you can edit them and later export them to GIF format to be saved on your desktop or PC for later use. Recordit is compatible with different platforms including Windows and Mac. It is a very fast screen recording program that you should definitely have on your system (works on desktop and pc). Recordit allows you to record any part of your screen after which you get a link where you can share your screencast through. You can also use the program to record a video and then send it to whatever app you want. In this way, you can have Recordit capture your screen and make a GIF out of the recorded video and focus on other details of the screen capturing process. This helps to make the experience as straightforward and as easy as possible. It has a free version that you can easily download, set up and start using immediately and doesn’t require much input from you during the editing process. This is basically GIF made easy as it is one of the best ways to record your screen and make GIF’s worthy of sharing to the general public. It helps you to record GIF on Mac and this program is simple enough for anyone to easily navigate through. You can capture literally anything on your screen to turn to a GIF and edit the recorded video to add captions, adjust the export size and so much more. 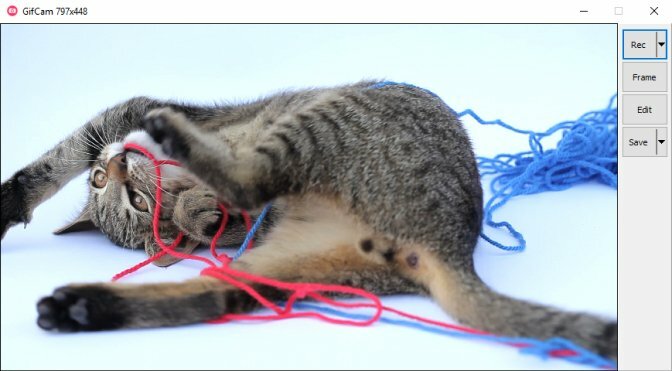 It also has many tools that can help you do various things like trim clips to one distinct frame and then after you have captured what is on your screen to make a video and edited it to your satisfaction, you can then upload your video as it is ready for sharing. Or if you’re not ready to share it, you can save it to your GIPHY account for later use. 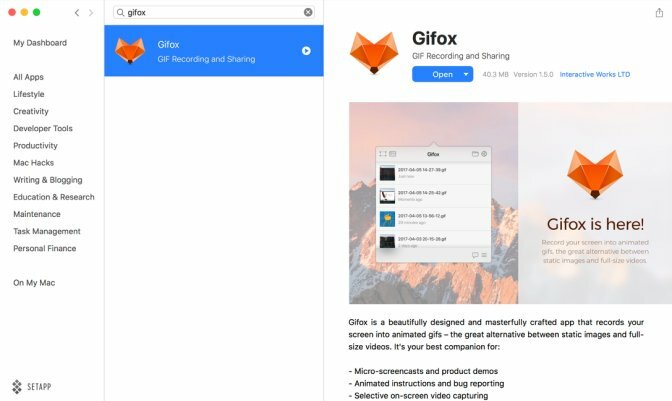 Gifox allows you to easily create wonderful GIF’s as it helps to capture whatever is on your screen. It also doubles as a sharing app so after your GIF is created, with as easy as one click, you can share your video to whomever you want to share it with and through whatever platform you want to share it on. Gifox has many features such as the window selection mode which allows you to continuously capture whatever is on your screen and gives you total control over what quality you want your captured video to be in and what size you want it to be outputted as. The program also lets you pick the elements you want to be added to your screen recording and you get to choose how exactly you want it recorded. 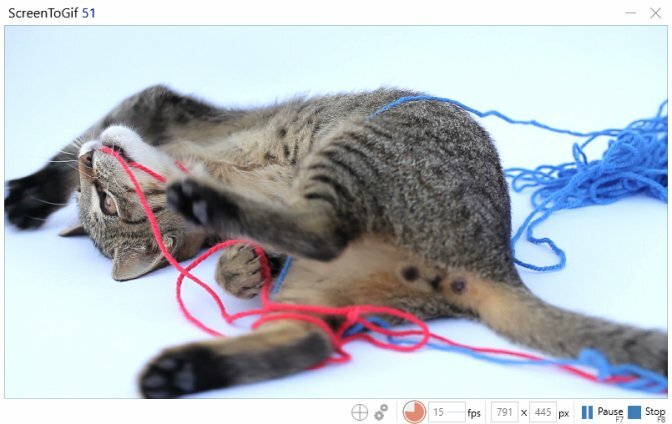 If you want an easy and fun animated GIF-making app, GifCam is the one for you. It is a practical app without so many add-ons so screen recording to make a GIF is a simple and straight-forward process. To start recording, click on ‘Rec' and the program starts capturing whatever is on screen. You can easily edit delays by clicking on the ‘Edit' button. Edit features include adding text to the video, choosing frame rate options for a smoother GIF, adjusting a frame and lots more. When you are done the recording and editing your video, you can save your GIF in 5 color reduction formats. 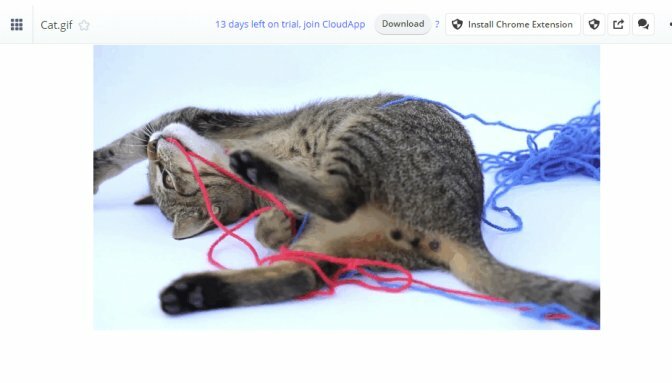 Perfect for creating simple animated GIF’s, LICEcap is a software to have. It is suitable for GIF capture through screen recording as it can save captured videos directly to .gif to ease the process for you. LICEcap is suitable with a host of platforms including Windows and OSX. Recorded videos are outputted in high quality and can be compressed to whatever size suits you best. 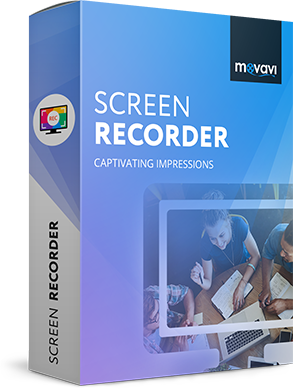 If you want to start recording GIFs, all of the aforementioned programs are definitely worth checking out, especially Movavi Screen Recorder. With this universal video-capturing program, that also functions as a GIF recorder, you will be able to record funny GIFs and share them later with your friends or capture interfaces and websites to create tutorials. Download the Mac or PC version for free to see what it’s capable of.